There’s always something new coming into season when you are out walking in the summertime. Yesterday while Henry and I were out for a ramble we found blueberries. 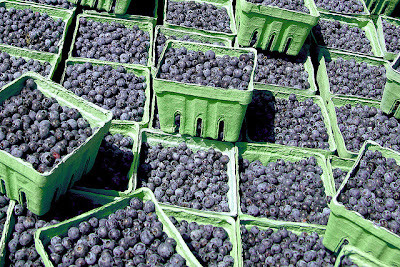 Nova Scotia wild blueberries, of course. Wild blueberries are far superior to the cultivated kind in my mind. My mother’s high bush blueberries have pretty much come and gone. It doesn’t help that she has to compete with the birds to harvest her crop. Wild blueberries are much smaller and far more intense in flavour. 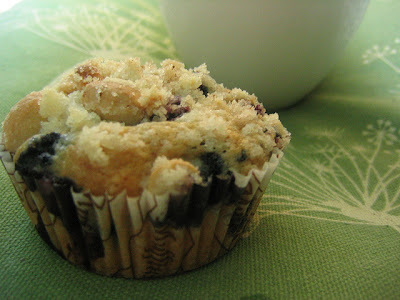 They are THE best option for making pies, jams, cobblers, grunts (search this blog for "huckleberry grunt") and muffins. And they will soon be coming to a store near you. Vaccinium angustifolium (lowbush blueberry) is native to eastern and central Canada and the northeastern United States. Their range includes as far south as West Virginia and west to the Great Lakes region, Minnesota and Manitoba. 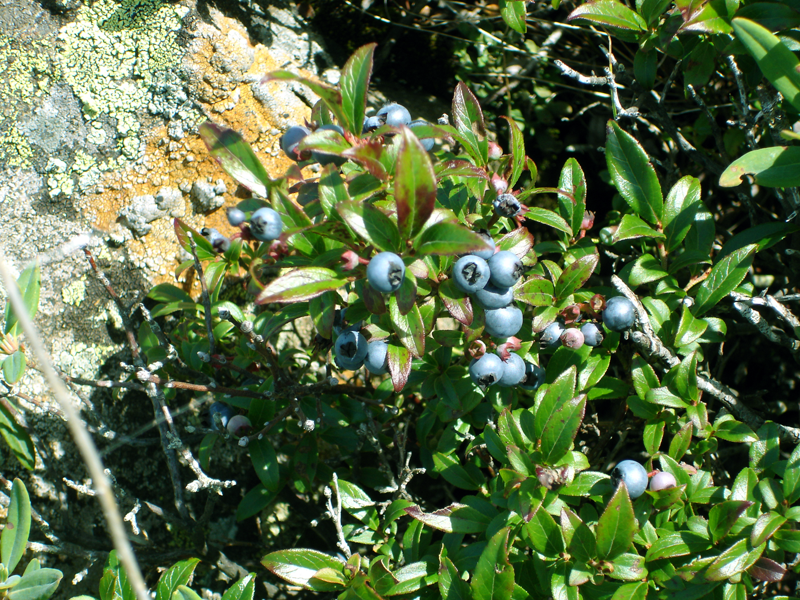 Nova Scotia has a thriving commercial wild blueberry industry. 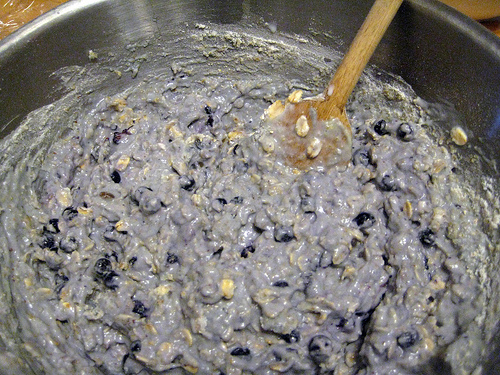 Batter using frozen berries turns blue. 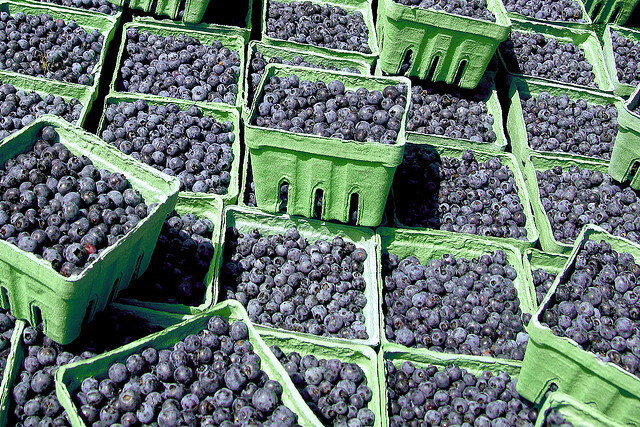 Nova Scotia markets begin to have product in mid August which continues for several weeks. Wild blueberries are most commonly sold in 5 lb boxes, so be prepared to do some freezing or baking, stewing, and canning. Or all of them. There is a vast difference in end product between using fresh and frozen blueberries in muffins. Fresh blueberries contain their blue juice inside the skin until baked if you fold them gently into your batter. Frozen blueberries, when thawed out, are soft and the batter often ends up blue tinged, and as such your finished muffins. See the picture at right for an example of frozen blueberry batter. Fresh berry batter is illustrated below. I prefer my muffins white with bursts of blueberry flavour so I only use fresh if at all possible. This recipe has a wonderful complimentary topping that combines sugar and lemon. I found the basics for it in a recipe that first appeared in Cook’s Illustrated in 2009. Muffins can have none or varied toppings, like the one in this recipe, streusel, glaze or crunch toppings. Feel free to substitute, although the lemon brings out some of the qualities of the wild berries. This recipe has a sugary/lemony topping using turbinado sugar. 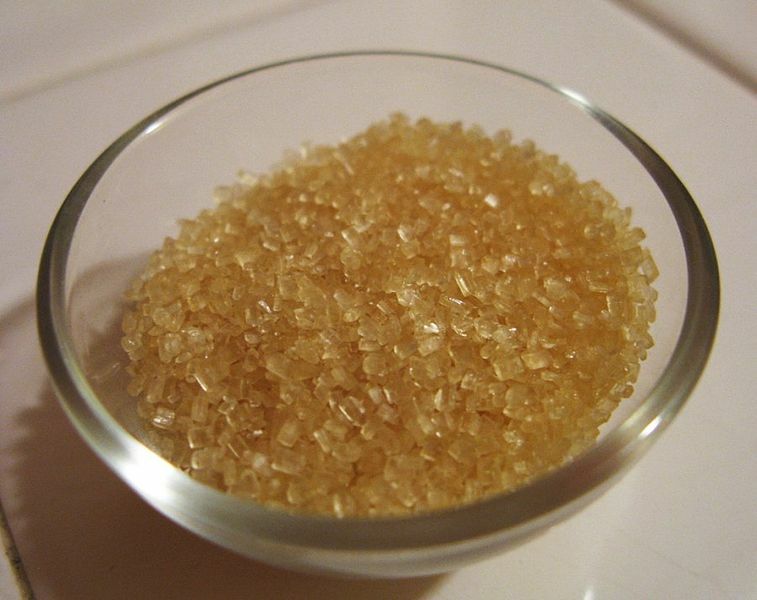 Turbinado sugar is a larger crystal sugar made from partially refined cane sugar. As such it is not white. If you can’t find it you can substitute either light brown or white sugar. Mix together the sugar and lemon zest in a bowl and set aside. Line a 12-muffin pan with muffin liners. If using a non-stick pan you don’t need the liners but should grease them anyway, just to be safe. There’s nothing worse than muffins stuck in a pan. Combine the flour, sugar, salt and baking powder. Place the vegetable oil into a measuring cup; add the egg and enough milk to fill the cup. Mix well, and then stir into the flour. Gently fold in the blueberries. 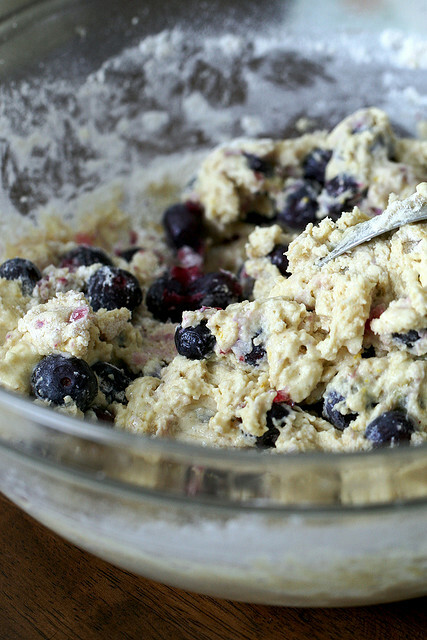 If you’re too forceful you will break up the blueberries and stain your batter. Divide the mixed batter evenly between the muffin cups and sprinkle with the lemon topping. Bake in the middle of the preheated oven for 20-25 minutes. Remove from the pan to a rack and let cool slightly before serving. Muffins are at their best while still slightly warm.